Will Disney+ change the face of streaming when it launches in November? During a corporate presentation on Thursday, April 11th, Disney revealed new details of its much-anticipated streaming service, Disney+. 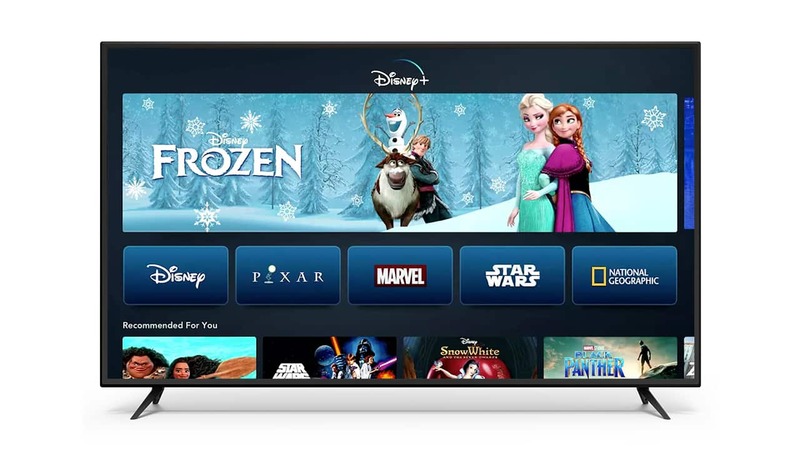 Disney+ will launch on November 12th, 2019 and so far has established partnerships to stream with Roku and PlayStation 4. There've also been rumors of future deals with Xbox One and Nintendo Switch as well. With a launch as momentous as this, it can be certain the company is looking to reach as many mediums as possible. Since we love a good bargain here at Slickdeals, the price for Disney Plus gives us another reason to be excited. The service will cost $6.99 a month or $69.99 ($5.83 a month) if you pay for the year. This pricing strategy is definitely an intentional jab to Netflix, which costs almost twice as much, and raised its prices yet again this year. In the long run, Disney's streaming service could actually end up saving you some money. The execs stated that new films will arrive on the platform directly after their home release. In fact, Kevin Feige, President of Marvel Studios, shared that Captain Marvel and Avengers: Endgame will make their streaming debuts exclusively on the service. Despite being a little late to the game, the entertainment behemoth has been amassing an entertainment arsenal that could really shake up the streaming industry. With Pixar, Star Wars, Marvel and the recently acquired 21st Century Fox under the hood, Disney may drive a significant chunk of the market to its service. This is especially true if it starts pulling Disney content from the likes of Netflix, Hulu and Amazon Prime Video. But even if Disney continues to share its content with other services, the slated releases for the new platform are definite attention-grabbers. The list is long, but there are a few really worth noting. Up first is Loki, a new Marvel Cinmnetaic Universe TV show with the ever-charming Tom Hiddleston reprising his role as the God of Mischief. If you are a Monsters Inc. fan, Mike Wazowski and Sulley are also making a comeback with a new animated series called Monsters at Work. And if the force be with you, Jon Favreau presents us with The Mandalorian, an eight-episode Star Wars spin-off following the "travails of a lone gunfighter in the outer reaches of the galaxy." With an ever-increasing amount of streaming services, it'll be interesting to see which ones are actually worth your money.